Hey folks, NVIDIA has released an update (version 331.49) to their GNU/LINUX driver series just recently. This driver update comes with some fixed bugs as well as added support for two new graphics cards. Fixed a bug (actually, regression) that prevented nvidia-installer from cleaning up directories created as part of the driver installation. Added a new X configuration option "InbandStereoSignaling" to enable/disable DisplayPort in-band stereo signaling. See "Appendix B. X Config Options" in the README for more information. Fixed a bug that caused PBO downloads of cube map faces to retrieve incorrect data. Fixed a bug in nvidia-installer that resulted in spurious error messages when opting out of installing the NVIDIA kernel module or source files for the kernel module. Added experimental support for ARGB GLX visuals when Xinerama and Composite are enabled at the same time on X.Org xserver 1.15. The driver can be downloaded from the official NVIDIA drivers page. Download the 32 bit driver from here. To download the 64 bit driver, click here. 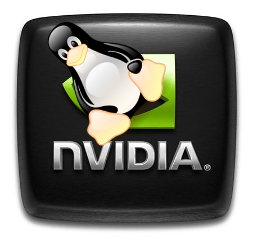 I have already made a post on how to install downloaded NVIDIA drivers in GNU/LINUX.